Aquazzura footwear is nothing short of a fairytale. Edgardo Osorio proves that the perfect pair of shoes really can change your life. These white and black braided raffia puff espadrilles from Aquazzura feature a branded leather insole, an almond toe, a braided flat sole and a pom pom detail. Sunny weather just around the corner? Or maybe you have booked a vacation to a warmer climate? In any case, you are sure to be on the lookout for some perfect warm weather shoes and espadrilles are just the thing. These comfortable shoes go with almost everything and are sure to get lots of use in a sunny climate. 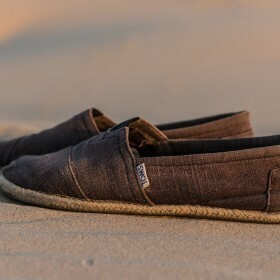 Perfect for casual looks, espadrilles are the perfect shoes for any hot and sunny occasion.